Selling classic and collector cars is rarely about finding a buyer as much as it is finding the right price. Because classic and collector cars are highly sought after, you have to make sure you’re making a good deal when agreeing to sell. In this article, you will discover the differences between selling any car and selling a classic or collector car, and explore the best methods for finding a fair selling price. It is important to realize what you have before you begin to think about selling a classic or collector car. Often people will acquire older vehicles through wills or estates, without knowing the exact value of what they now own. Step 1: Do your research. If you own a vehicle you suspect may be a collector’s item, be sure to research that specific car. While your car may be genuine, there is a chance it might be what’s called a clone. 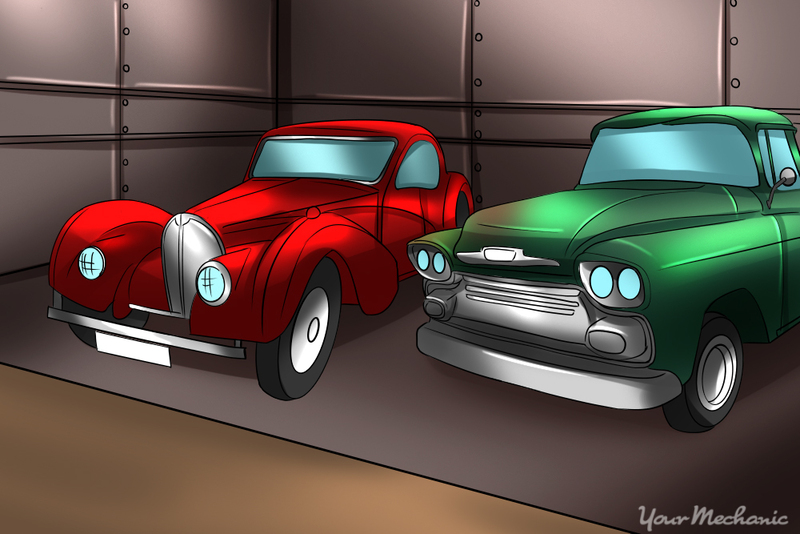 Clones look similar to original cars but the VIN numbers don’t match, or they are common cars modified to look like a rarer model. Talking to a classic car club or researching a vehicle’s production history online are inexpensive ways of finding your vehicle’s true value. Step 2: Ask an expert on classic and collector cars. Even if you are convinced that your car is original, consult with experts. Classic car clubs, some of which even may be specific to the car you own, are great sources of knowledge on vehicle history and value. Members of theses car clubs may even be interested in buying the car themselves, or know of someone looking for your car. Step 3: Check classic car advertisements to get an idea of a fair price. If you’re having trouble getting in contact with an expert or classic car club, Hemmings Motor News is a great resource for pricing classic and collector cars. 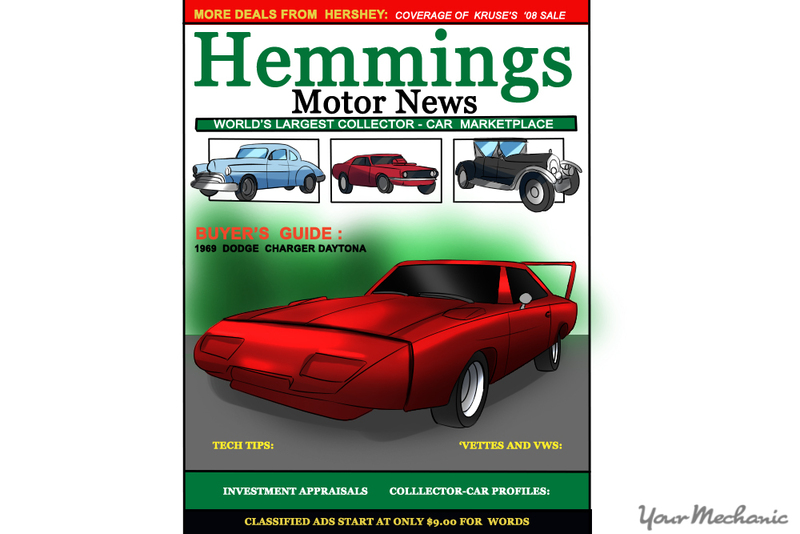 Hemmings will even let you place a classified ad on their website, giving you access to an invested fan base. Step 4: Utilize free car value guides online. The internet can be a great resource for helping find a good value for your car. The classic car insurance website, Hagerty, provides a free value guide to help you begin to find an appropriate selling price. Advertising your vehicle to the right audience is the most important part to achieving a successful sale. Your audience is always affected by market saturation (how many cars like yours are for sale already), and how much time you have to sell the car. Let’s take a look at some ways to try to sell your car based upon these two factors. Step 1: Advertising a car for a quick sale. If time plays an important role in your sale, you’ll want to make sure that your car is visible to a wide audience. To sell a car quickly, you can utilize your local Craigslist and newspaper to alert potential customers. 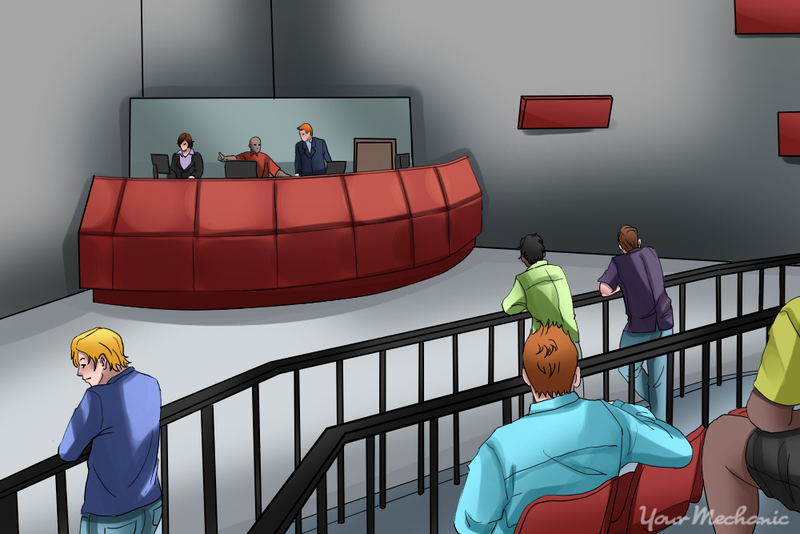 You should be aware, however, that because your audience is so varied you may not be offered the price you ask. Step 2: Advertising to a target audience using a car club. If you are in less of a rush to sell, you can focus on finding a target audience, which will help increase the price for which you actually sell the vehicle. As mentioned earlier, car clubs are good resources for finding buyers that specifically want the car you have to offer. Depending on where you live, you may be able to find a group that specifically works with the make and model you have to sell. You can also find a registry of popular car clubs online. Step 3: Advertising to a target audience online. If you’re having trouble finding a car club willing to help, or one that is close enough, you can always connect to potential buyers online. By focusing on publications like Hemmings, you can tailor your car advertisement to an audience already interested in classic or collector cars. 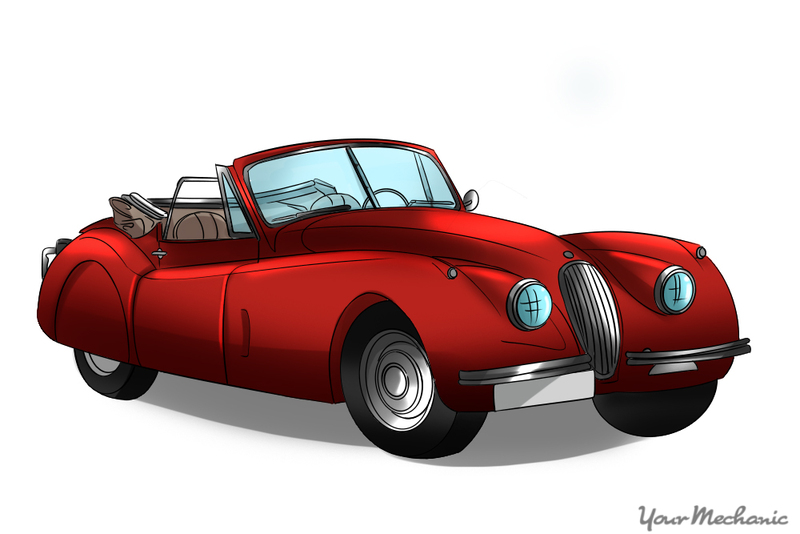 Step 4: Enter your car into an auction. An ultra-rare vehicle may be of interest to a large classic-car auction company like Barrett-Jackson or Mecum. These auctions provide you with an audience of highly-motivated buyers willing a ready to pay large sums of money for classic and collector vehicles. Classic car auctions are not for all sellers or for all vehicles. Participating in an auction can often cost thousands of dollars in fees. You should be sure of the exact value of your car before considering entering it into an auction. Classic car auctions do cost the most, but they provide the best guarantee that you will be offered a fair price for your car. Even if you are unwilling to work with a major, national auction service like Mecum or Barrett Jackson, local auctions may also provide a larger audience than Craigslist or other classified sites alone. When it comes down to agreeing to a sale price, you have to decide if the offer is acceptable or not. By this point, you should know what price range is reasonable for the car you have. Time can obviously affect this, as a car that needs to be sold quickly often does not fetch the same price as one with which the seller is not in a rush. Step 1: Respond to, and meet with, potential buyers. Whether you choose to sell a vehicle quickly, through Craigslist or other local classified outlet, or you choose to market your car to a target audience through specific publications, you will probably receive the most requests within the first few hours of posting your advertisement. It is important to be available to respond to calls, emails, and requests to see the vehicle after you post the advertisement. Otherwise, you may lose a buyer to another seller who was quicker to respond. Step 2: Agree on a sale price and complete a bill of sale. When you have a serious buyer, it is time to fill out a bill of sale. This will include the car’s information, including the year, make, model, VIN, mileage, and sale price. It will also include the personal information of the buyer, as well as you, the seller. Step 3: Accept payment and transfer the title of your car. Make sure to only accept certified forms of payment, such as cashier’s check, bank draft, money order, or upfront cash. Once you have received satisfactory certified payment in full, visit your local DMV to have the title transferred to the buyer. While selling a classic car may seem daunting because of the additional effort involved in finding a good buyer, you will likely find that many classic car enthusiasts are willing to share their knowledge and passion with you. Ultimately, the sale of a classic car depends upon your willingness to market the vehicle. Cars that are sold quickly often don’t fetch the same asking price as a vehicle that is sold to a more discerning audience. Doing your research and finding groups of enthusiast to help you will go a long way toward making sure you receive a fair price for your classic or collector car. Q: Should I sell my car or pay for the repairs?